Good and Services tax has to be filed periodically. As per the GST laws it mandatory for every taxpayer to file GST returns. There are 11 types of GST return filing. 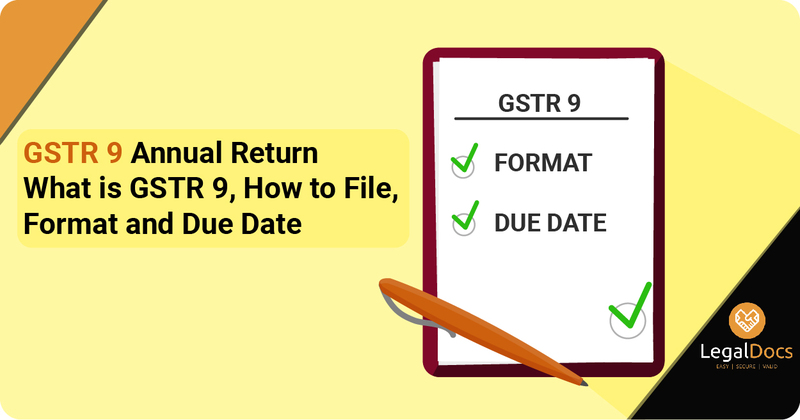 Let us understand what is GSTR 9 and detailed information about GSTR 9 return filing. GSTR 9 return is annual return for every taxpayer as well as the one who has registered them selves under Composition Scheme. GSTR 9 form is segregated in four different types which are GSTR 9, GSTR 9A, GSTR 9B, GSTR 9C. GSTR 9 is for the regular taxpayer, GSTR 9 A is for composite persons, GSTR 9B is for E-commerce operators and GST, GSTR 9C is for the one whose annual turnover exceeds 2 crore rupees. GSTR 9 contains the information regarding the supplies done by tax heads such as CGST, IGST, SGST. How to file GSTR 9? GSTR 9 form was introduced on 4th September 2018 by the government. There are four types in GSTR form, Let us understand how to file GSTR 9 form and its procedure. The auto generated information of GSTIN, Financial year, Legal name, Trade name will be shown from the earlier filled GSTR forms. You have to mention the date of the statutory audit. You have to mention the details of Outward and Inward supplies and amend them if required. The taxpayer needs to mention the details such as supplies made to the unregistered and registered person, Credit notes and Debit notes, Details of ITC as declared in return filing, Details of ITC reversed and ineligible, Other ITC related information. You also need to mention the details of tax paid returns filed during the financial year. Other information such as Particulars of Demand and Refunds, HSN wise summary of inward and outward supplies, Late fees, payable and paid. What are different types of return under GSTR 9? The four GSTR 9 is segregated in four different types, which are GSTR 9, GSTR 9A, GSTR 9B, GSTR 9C. 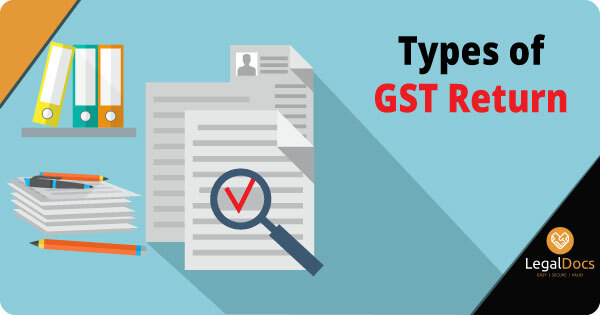 There are few specifications for the taxpayers while filing GSTR 9 form. Taxpayers whose annual turnover exceeds 2 crores rupees. As per the GST laws, it is necessary for every taxpayer to file GSTR on the mandatory basis and before the due date. GSTR 9 due date has been extended, The government has extended the due date of filing annual Goods and Services Tax (GST) return by three months. "The competent authority has decided to extend the due date for filing GSTR-9, GSTR-9A and GSTR-9C till March 31, 2019," the Central Board of Indirect Taxes & Customs (CBIC) said in a notification on Friday. The previous deadline was December 31, 2018.
Who should file GSTR 9? It is made necessary for every taxpayer to file there GSTR form before the due date. GSTR 9 form is segregated in 4 different formats which are GSTR 9, GSTR 9A, GSTR 9B, GSTR 9C. GSTR 9A form is to be filed by the taxpayers registered under Composition Scheme, GSTR 9B should be filed by the E-commerce operators, GSTR 9C should be filed by the taxpayers whose turnover exceeds 2 crores. Accordingly, GSTR 9 should be formed by the Casual Taxable Person, Input Service Distributor, The taxpayer who is paying TDS, Non - resident taxable person. The GSTR 9 late fee for not filing the returns on time is 100 rupees per day for SGST (State Goods and Service Tax) and 100 rupees per day for CGST (Central Goods and Service Tax), which will be 200 rupees in all. For IGST no penalty is to be paid. The maximum amount for GSTR 9 penalty will be calculated as per the quarter percent of the annual turnover of the taxpayer for the State and Union Territory. 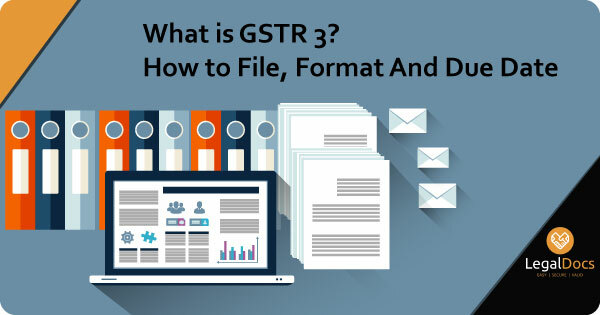 The GSTR 9 format contains the following information which is needed to be filled by the taxpayers such as GSTIN, Name of the taxable person, Date of Statutory Audit, Details of expenditure, Income details, Return reconciliation statement, Profit made as per the profit and loss statement, Turnover of the business, Inward supplies details, Tax on outward supplies, Outward supplies, Late fees, Refund claimed, Tax payable, etc. It is also possible to get the GSTR 9 excel format which will help to enter the data in bulk. GSTR 9 form download can be done by clicking below.